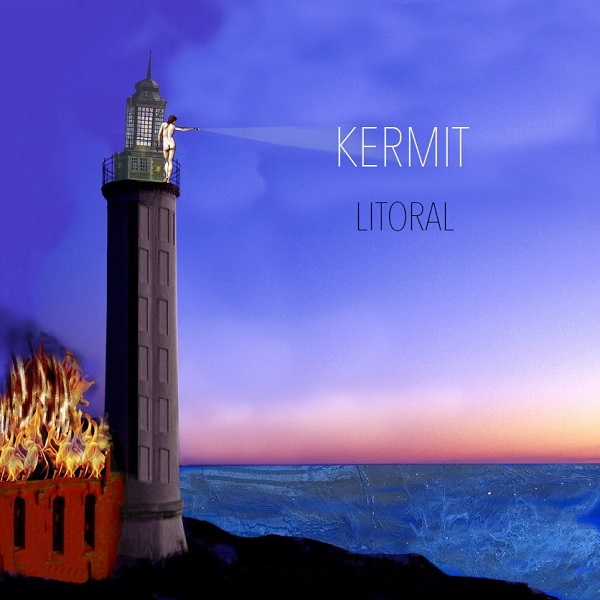 Kermit is a Spanish quartet from Malaga. There is a lot of information about their music on the web, but little to no information about the band itself even on the record label web site, other than they have been performing since 2011 and Litoral is their second release. Litoral is a concept album and it is more like one big piece with multiple movements rather than seven separate songs. In fact, if you are not paying close attention, you cannot tell where one track ends and the next begins. The only exception is track 4 “We tripantu.” The album title is a tribute to the poetry magazine Litoral founded in Malaga in 1926. There are multiple literary and poetical references throughout the music, including excerpts from Allen Ginsberg’s beat generation poem Howl and George Orwell’s rant on the media’s toxic self-destruction. From what I can discern from band photos and the music is that Kermit consists of a drummer and three guitars, bass and two leads. The music is all instrumental intercut with various literary narrations. Much of the music reminds me of Godspeed! You Black Emperor, Bill Laswell’s Material, and possibly Djam Karet. The first six tracks are in the four to six minute range, but the closing track “1927” is almost 12 minutes long. There is a break in the music before “1927” and it begins as a quiet ambient piece with cymbals and saxophone, which reminds me of that bluesy jazz interlude in Bladerunner. Midway through, the music swells to a Godspeed! climax and then ebbs to whispered voices and builds again to a second climax at almost nine minutes. The music recesses again and there is some Spanish narration for a bit and then the music just fades away to conclude the album. Litoral is quite an emotional and tender experience and an excellent second release. Tony Levin Band does "Elephant Talk"